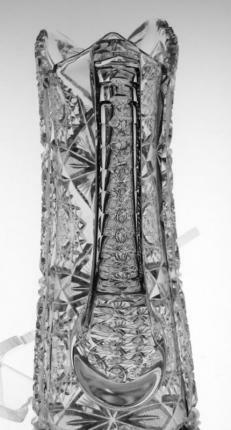 Offered for sale is a beautiful and elegant cut glass champagne pitcher. 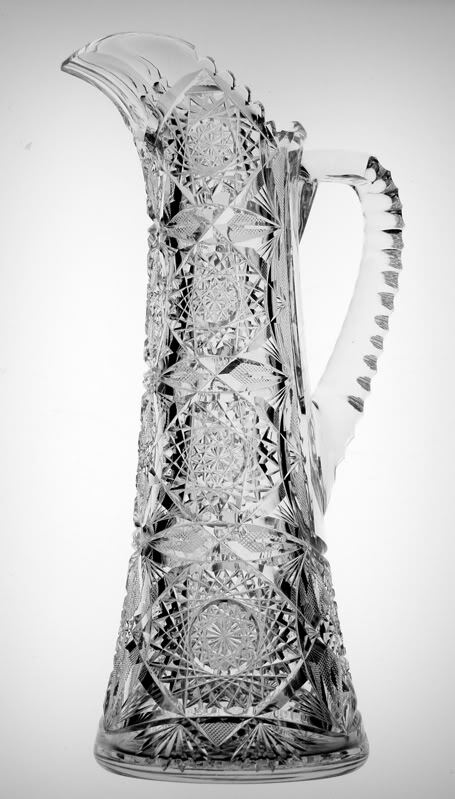 This pitcher is in a design similar to that of Bergen’s Premier but it is not the same. It’s actually in Burley and Tyrrell’s Newport pattern. The pitcher is covered with numerous hobstars. 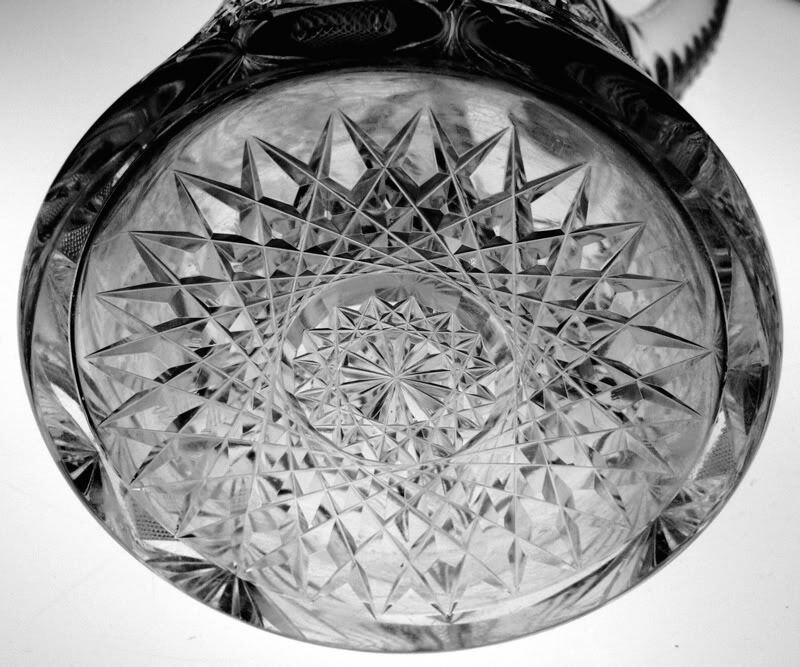 Surrounding these hobstars is fine split vesica of crosshatching. This motif is used in Hoare’s Moncarch pattern and Bergen’s Premier design. 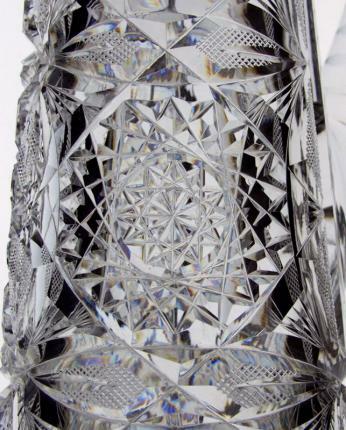 The long, graceful handle is covered in St. Louis Diamond (triple notched) and perfectly annealed. 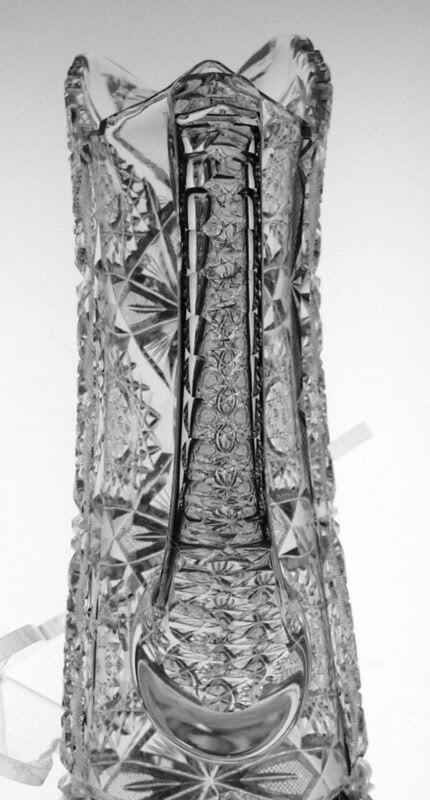 The base is covered in a large, 24-point hobstar. 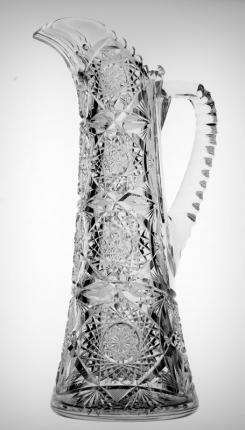 This tankard, or champagne pitcher is very tall and measures 13 ¼” tall and 5″ diameter at the base. The blank is crystal clear and the cutting is quite prismatic, as shown in the closeup picture. The pitcher is in perfection condition.